Producing your own compliance training videos in-house requires considerable time and expertise, and is often prohibitively expensive. That’s why Compliance Wave offers a fast, cost-effective way to build world-class video Libraries that are aligned to your policies. Grab your employees’ attention, mitigate business risks and drive lasting change with Compliance Brief™ animations tailored specifically for your program. Make our famous Compliance Brief videosTM look like they’re built in-house. Simply send us your logo, and we’ll create a professional opening frame that seamlessly transitions into the video. Your audience needs to know whom to contact for questions and reporting. 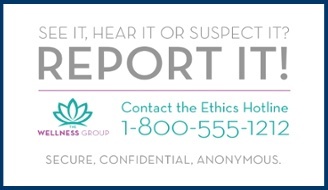 We’ll create a custom closing frame for each compliance training video that includes information such as your hotline number, email address or department URLs, making the video more actionable for your audience. 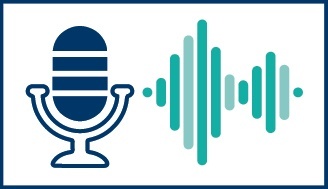 We’re happy to contour video voiceovers to better align with your organization’s specific policies. (You may even add up to 15% more words.) Submit your edited script, and we’ll re-record the audio for your custom video. 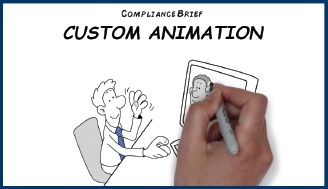 For more extensive customizations, you may want to change the Compliance BriefTM animations themselves. We take your frame-by-frame storyboard edits and work them into freshly minted compliance training videos that reflect your vision.